ANALYSIS: Baltimore’s latest tax incentive is aimed at dealing with the glut of vacant office space downtown. No “inclusionary” housing included. Above: The developers of 10 Light Street will benefit from the tax break for conversion of vacant office space into apartments. Baltimore’s latest experiment in inducing development through tax breaks is set to be approved tonight by the City Council. Bill 13-0176 is a wrinkle on the city’s PILOT (payments in lieu of taxes) program – which subsidized the building of Harbor East and other swanky properties – by offering 15 years of property tax breaks to developers who convert underutilized office space into upscale apartment units. The measure is the city’s response to the complaint by downtown business interests that too many tax incentives have been awarded to H&S Bakery mogul, John Paterakis, and his Harbor East associates, undercutting the competitiveness of the traditional downtown, says Councilman Carl Stokes. “This incentive has been fueled by the dissatisfaction of old downtown Baltimore that incentives were used to get businesses to Harbor East, and downtown wants the same incentives to convert buildings that now have less occupancy because of the shift,” Stokes, head of the Taxation, Finance and Economic Development Committee, told The Brew. Stokes said he supports the measure “to get these apartment conversions going,” but added that “homeowners and small business will pay” for the new incentive. “So, in one sense it helps the city and in another it hurts it,” Stokes said. The conflict between the “old” and “new” downtowns came to a head last year when Exelon picked Harbor Point, the Paterakis group’s latest development, for its new regional headquarters. Before deciding on Harbor Point, the company was vigorously lobbied by the Baltimore Development Corp. (BDC) and business-oriented Downtown Partnership to locate either in the downtown or near the Inner Harbor. The energy giant’s shunning of the area – combined with an alarming number of vacant Class B office buildings on the market – caused the Rawlings-Blake administration to introduce the new tax incentive, according to Stokes and two other city officials who asked not to be identified because they are not permitted to talk to the media. Last month, the BDC proposed to the city $107 million in TIF (tax increment financing) for infrastructure improvements at Harbor Point, adding to the Paterakis group’s long list of tax breaks. The new measure will provide a property tax credit – starting at 100% in years 1 and 2 and dropping to 20% in years 13 to 15 – to developers who convert office space into 50 or more market-rate rental apartments. Unlike PILOTs awarded by the city on a piecemeal basis, the new tax incentive will be open to all developers in census tracts centered on downtown and expanding to several other parts of the city. Areas in blue would be eligible for the new apartment tax break program, including the Belair Road corridor and parts of north and west Baltimore. The decision to include a sliver of Reservoir Hill, a strip of Belair and York roads, a section of Cold Spring Lane, and other districts near the downtown were designed to jump-start projects in various stages of planning, according to Stokes. It doesn’t hurt, either, that tax-credit-eligible tracts are located in districts whose Council members are stalwarts of the mayor, such as Bill Cole (Reservoir Hill), Brandon Scott (Belair Road), William “Pete” Welch (Poppleton), and Sharon Green Middleton (West Cold Spring Lane). And the latest amendment to the bill – added by the administration before the second reader – includes Station North represented by Councilman Stokes. The developer with the biggest stakes in the pending bill is Metropolitan Partnership Ltd. of Vienna, Va. The group recently paid $6 million for the former Maryland National Bank skyscraper at 10 Light Street, which is being vacated by its last major tenant, the Miles & Stockbridge law firm. 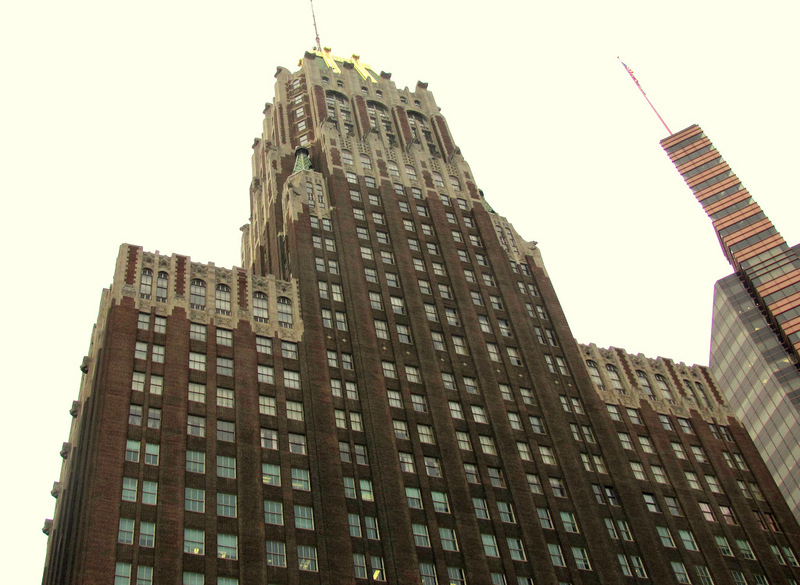 The developer wants to convert the Art Deco tower into 445 apartments, but – like other developers waiting in the wings – says that the city’s high property tax rate make apartment conversions of old buildings economically difficult. According to the city Department of Finance, the new tax credit “is designed to increase population in downtown Baltimore” as part of Mayor Stephanie Rawlings-Blake’s effort to attract 10,000 new families to the city. There are approximately 2,000 potential apartment units that can be converted with the tax incentive, the memo said, or about half the number of units that could be filled with residents because of the increased demand for urban living by young professionals. The report estimates that the 15-year credit will result in a 57% reduction in property taxes due on the increased value of the converted properties. 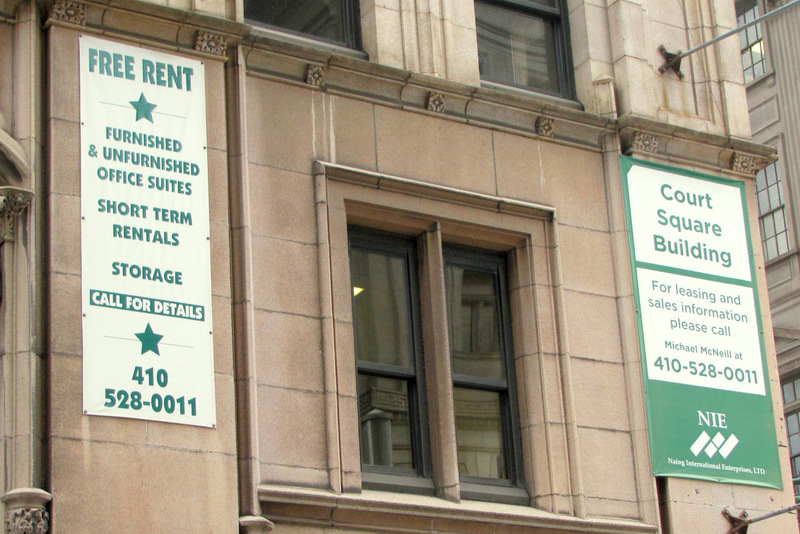 If such savings are passed onto renters, this means that new families attracted to Baltimore will be paying substantially less for city services than current renters and existing homeowners. Overall, the new tax incentive will cost the city $27.5 million in lost revenues, while generating $67 million in added property taxes, the Finance Department estimates. However, that estimate does not account for another tax credit that will kick in to reduce the city’s projected revenues. The Council bill specifically allows developers to combine the new tax credit with existing “EZ” (Enterprise Zone) tax credits. This makes the apartment conversions eligible for an additional 50% tax reduction for the first five years, with a reduced reduction for the next five years. This raises the possibility that at least some apartment conversions could escape paying any taxes for a number of years on the increased value of their property. The scenario of “zero” property taxes is acknowledged in today’s bill before the City Council. In other words, the two credits combined could result in zero property taxes, but are prohibited from exceeding the tax, resulting in a rebate to the developer. In a hearing last month before Stokes’ committee, leading developers voiced enthusiastic support for the measure. 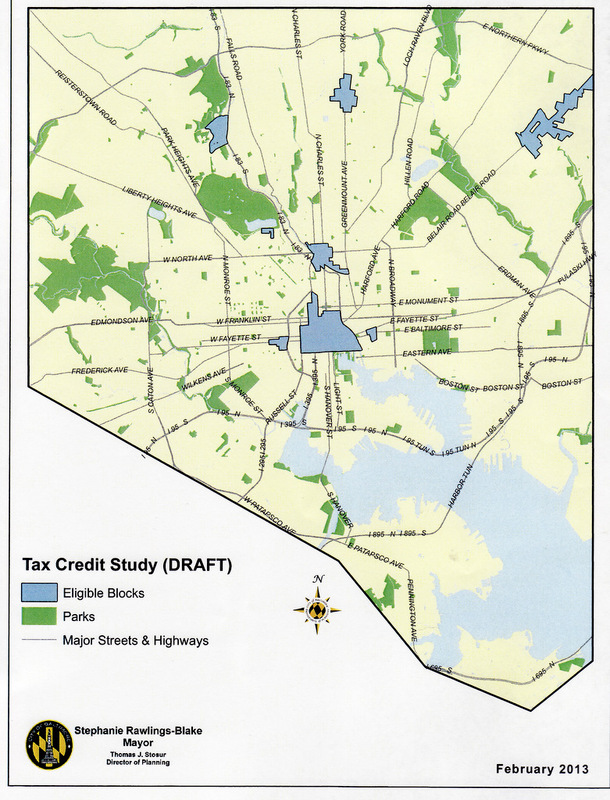 The very same “City of Neighborhood” kudos – and other wording identical to the Caves Valley Partners’ letter – was penned in testimony submitted to the Council under the signatures of Jay A. Perman, president of the University of Maryland Baltimore; James A.C. Kennedy, CEO and president of T. Rowe Price; John B. Frisch, chairman and CEO of Miles & Stockbridge; and Kirby Fowler, president of the Downtown Partnership, among others. Either the supporters of the bill were choreographed by the same advocate – or massive plagiarism took place among downtown’s business and academic elite. The new tax credit comes courtesy of the state’s efforts to make housing more “green” and eco-friendly. The state permits local jurisdictions to offer property tax credits for so-called “high performance” buildings that meet or exceed the LEED Silver standards through solar heating, geothermal heat pumps and other engineering. Anne Arundel, Baltimore and Howard counties already have a program granting tax credits for LEED-approved construction for commercial developers as well as homeowners. These credits, however, are modest compared to Baltimore’s new program. For example, Baltimore County will reduce property taxes on an apartment building by 10% for just three years if it meets the minimal LEED Silver standard. Today’s bill sets the city’s overall goal at the minimal Silver standard and grants 100% tax relief for years 1 and 2, then diminishes the credit from 80% to 20% from years 3 through 15. Despite the heavy public subsidy, however, the Council bill does not specifically provide for low-income housing. Housing Commissioner Paul T. Graziano vowed that “mixed-income housing” would be included in the apartment conversions, but did not spell out the mechanics in a statement to the Council praising the legislation.